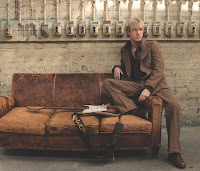 The Kenny Wayne Shepherd Band will release their new record, How I Go on August 2 via Roadrunner Records. The first single from How I Go, "N ever Lookin' Back," is available now. Shepherd and band will be on the road supporting the record. They'll be here in our lovely city on September 8 at Irving Plaza. Check out the KWS website for dates near you. The name "Kenny Wayne Shepherd" is absolutely synonymous with "young blues guitarist" but that phrase isn't the totality of his person. "Blues player is definitely one of the labels I've accumulated, because I'm a huge blues fan and I love to play the blues," Shepherd says. "But if you listen to my music, especially over the course of my career, everything that I do is not blues. It's the foundation of what I do, but my stuff has a lot more of an edge to it. It's a little more contemporary. And there's a certain youthfulness to what I do. I started writing and recording music when I was a teenager and that energy has been consistent throughout my career." The hard-rocking, blues-based, guitar-driven How I Go sounds young and fresh. Yet it has that distinctive energy and vibe drawn from the deep heritage of the genre. 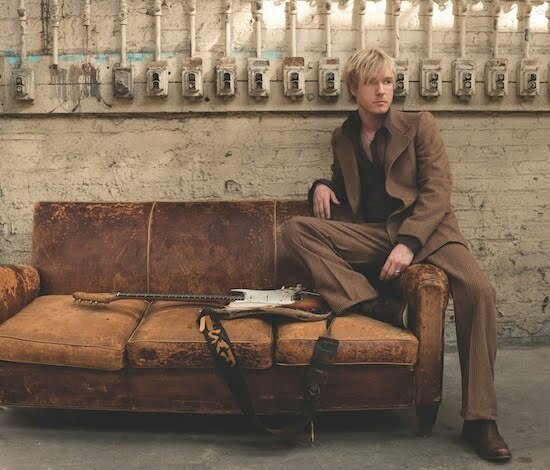 It shows how Kenny Wayne Shepherd is growing as a songwriter, musician and producer. Which isn't to say he's not proud of his past. "I don't have any regrets, other than maybe a couple of outfits that I wore on stage," he laughs.